Boldly marked by dark rosettes on skin and famously known as the most secretive of all the large carnivores, the leopards are a magnificent sight to those who get the opportunity to spot them. Leopards can be seen in a number of Uganda national parks although they solitary creatures and if one gets an opportunity to sight one while on safari in Uganda, you should count on your blessings. Leopards spend most of their time strolling through the savannah grasslands and forest undercover and also hiding in tree or caves. Leopards are so solitary animals and rarely seen in pairs whereas the other carnivores such as lions, wild dogs, hyenas among others live in groups. The only time one can spot pairs of leopards is only during the mating season mating. They are fast and stealthy and their spots provide camouflage while in grasslands. 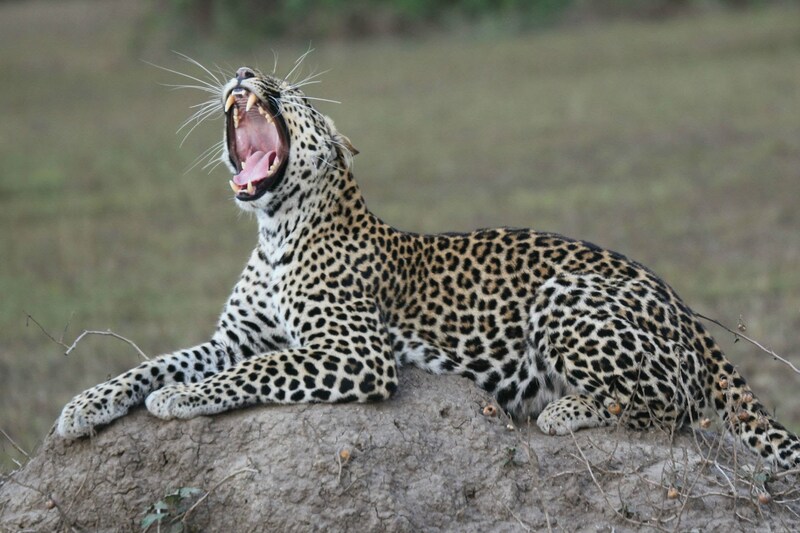 Leopards also live a nocturnal life and that’s why it is rare to spot them on a game drive. Lions are number one enemies whereby they occasionally hunt and kill them. Leopards also avoid hyenas mainly because they are annoying and occasionally steal their kill before the leopard gets time to hide it. Leopards are good swimmers and can hunt fish in water or even other reptiles, insects, and small animals that may be grazing near their territories. ALeopard do not have specific mating periods; they mate any time of the year and their gestation period takes about 90-100 days later. Female leopard give birth up to four cubs and the mother finds well protected area to raise her cubs. The mortality of the cubs is high about 50% and those that survive stay with the mother for about 1 to 2 years and during this time they play with each other and learn to hunt for their own food. Be sure to visit one of these national parks on your Uganda safari and you just might be one of the few lucky ones.